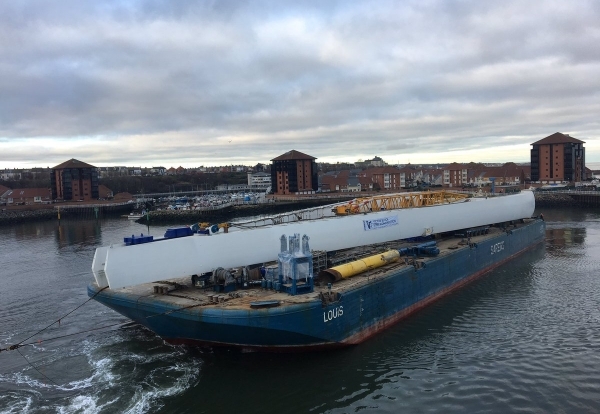 The main A-frame pylon of Sunderland’s new bridge has arrived in the city after being transported by barge from Belgium. The pylon will stand 105m above the River Wear on the £120m crossing being built by a joint venture of Farrans and Victor Buyck and is due to open in the spring of 2018. The structure is constructed from more than 1,000 tonnes of steel and 550 tonnes of concrete. It arrived at the Port of Sunderland on Saturday thanks to transport specialist Sarens. 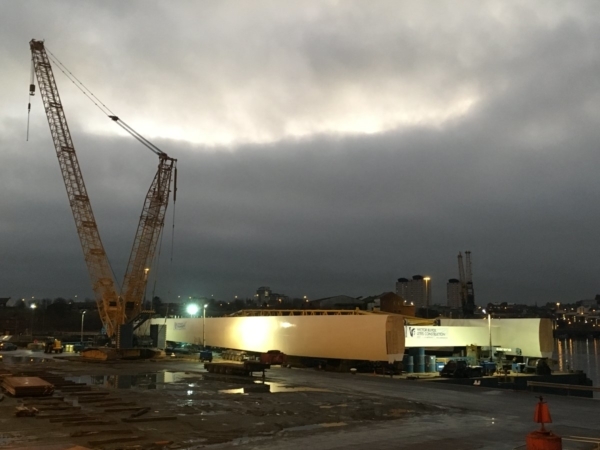 It will be moored at the port for several weeks while final preparations are carried out before it is transported three miles up the River Wear to the site of the new bridge between Pallion and Castletown. 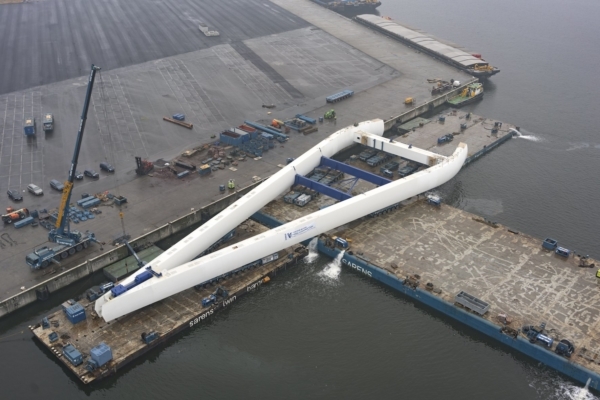 The transportation will be timed to coincide with the high tide and will be a precise and well-planned process, with the Louis barge that has transported the pylon across the North Sea accompanied by tugs as it makes its short journey to site. Once it is in location at the construction site, and final checks have been made, it will then be raised into position at the centre of the new bridge. Leader of Sunderland City Council Councillor Paul Watson said: “Seeing the pylon here in Sunderland for the first time makes me personally feel very proud of all the work that has been put in by a lot of people to turn this project into a reality.